There’s certainly no shortage of reviews between the new 5 Series and its competitors. It seems that every day there’s a new comparison test popping up on the interwebs. That won’t stop us from reporting them, though, as it seems you folk like them. This latest one throws a bit of a monkey wrench into the equation. A Swedish monkey wrench to be exact. 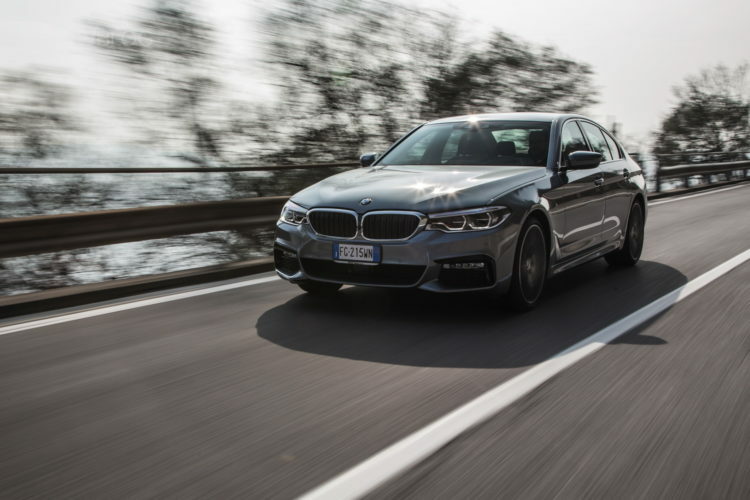 In the latest comparison from Top Gear, the new BMW 5 Series goes up against the Mercedes-Benz E-Class, Jaguar XF and the new Volvo S90. Let me preface this review that all four of these cars are excellent cars and that anyone would be happy to daily any of them. However, there are a couple that separate themselves from the pack. Each car came equipped with their respective small diesel engines and automatic gearboxes, so the playing field was quite even. In fourth place came the Jaguar XF. There’s no denying its stunning looks, sports car-like cabin and impressively dynamic handling. 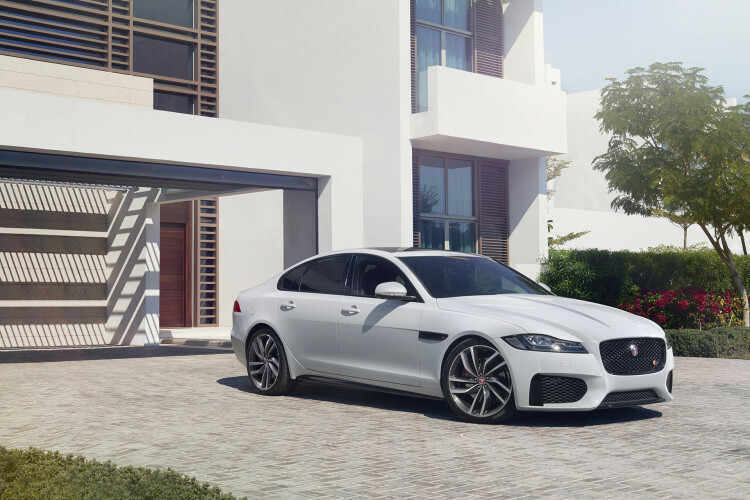 The Jag XF drives more like a large sports car than a luxury sedan that can be sporty. Although, it’s the slowest car in the test, despite being the lightest. So that kind of ruins its sporty feel. Where the XF really falls down, though, is in its comfort and refinement. The cabin feels cheapest in this test, its technology is the most low-rent and it’s the least comfortable. It’s great to drive but not nearly as well-rounded as the rest of the test. Coming in third place, rather surprisingly, was the Mercedes-Benz E-Class. The favorite among many, Merc’s E-Class fails to impress over two other cars in this test. Still, third place is still very good in this class. The E-Class does many things very well. While its styling is about as bland as it gets, the cabin is lovely and its ride is supple. It also has good, if not great, technology and is decently fun to drive. But it seems as if the E-Class has a bit of an identity crisis. 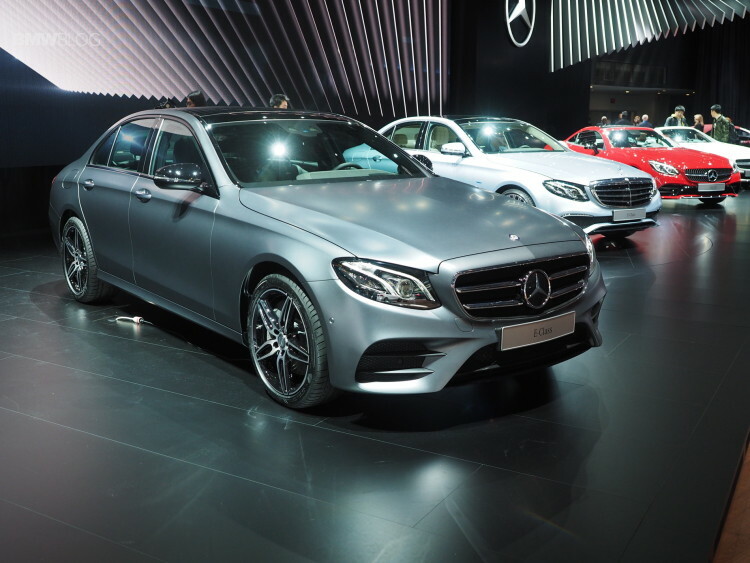 Its AMG package makes it seem that it wants to be sporty but it’s not very good at that. The Merc would much rather slow things down and cruise comfortably. But there are two cars better at that than the Benz. 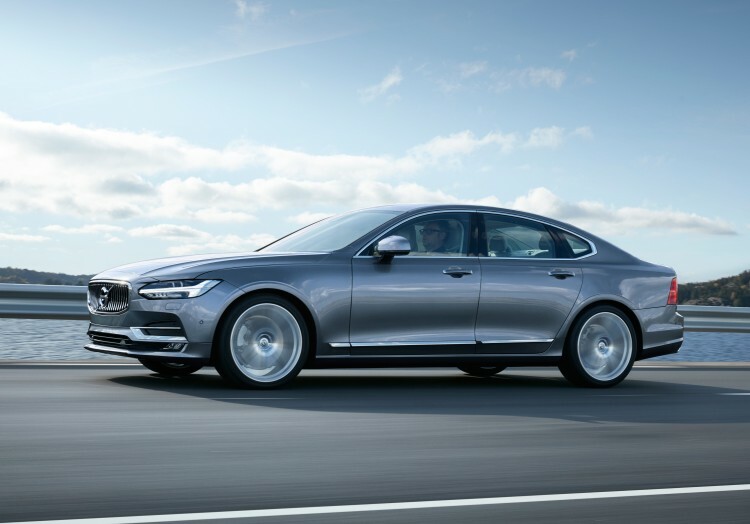 The Volvo S90 comes in second place for being exactly what it intended to be. While no one’s going to want to hoon an S90, Volvo doesn’t care. The Swedes designed the S90 to be minimalist, relaxing and just wonderfully pleasant. The cabin is bright, airy and simple to navigate. All of the buttons are simply laid out and made from wonderfully knurled aluminum. It also has the best touchscreen infotainment system in the business. Sure, it can’t handle as well as any of the other cars in the group but you simply don’t care from the driver’s seat. It’s like a four-wheeled muscle relaxer. There’s something pleasant about a car that does exactly what it’s intended, especially when it’s so different from the rest of the pack. That leaves the BMW 5 Series as the first place winner. The only real knocks against the 5er were the relatively bland styling and somewhat clinical cabin. Aside from that, the new 5 Series is so well-rounded that it’s hard to fault. In M Sport-guise, it’s capable of being a fun and dynamic sport sedan while also being comfortable and supple. Want it to be a highway cruiser? No problemo. Want it to be a sport sedan? You got it, chief. All the while, it packs the best in-cabin tech and sublime build quality. The steering is the best in the test, as is the ride and the tech. So it wins.